Oh people. 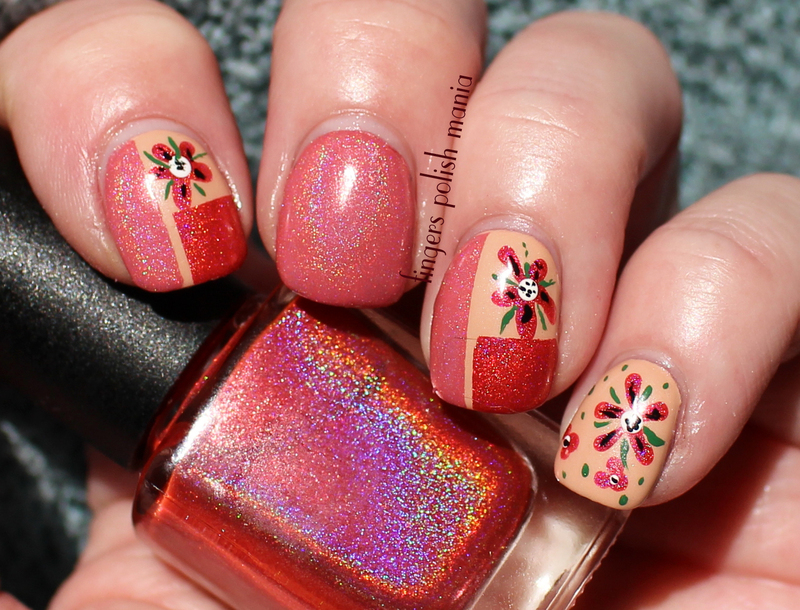 Today's mani is so freakin cool that I don't ever want to take it off! The crazy thing is, it started out as something totally different. I had finally ordered some of the nail vinyls out there. I was going to do this crazy gradient thing, but the damn vinyl I was using did not cooperate. I had no idea that I was going to have to pick out all the teeny tiny pieces in order to use the pattern. I had little triangles all over me and my nails. It wouldn't lay flat on my nail, then when I went to take it off, it was not a crisp clean transfer. For the first time, a mistake turned into something fabulous. A bit about work. I heard a rumor having to do with my job. Now I'm the type to freak out, think the worst. Cry, freak out. Yeah. I got an email from one of the doctors I work with. He tries to keep me calm. Tells me not to put stuff in writing as it's always there. I try hard to follow that rule. Usually, I pop off some words spewing and totally regret it later. I'm trying to do better. So his emails to me are always cryptic so others won't know WTF. This time it was "don't follow the lemmings who are jeopardizing their job." Seems Stupid took it upon herself to tell the boss how we all are job hunting and then going to group quit from burn out. Maybe Stupid is job hunting, but hell if she will EVER talk for me. Hence the lemmings in that email to me. I sure hope they had the meeting that's been coming for awhile after I left. I just don't need to be there. My new rule is to not get involved. Gonna keep my head down, do my job, go home. I'm damn good at what I do and I don't need them dragging me down. All right! Let's get to the awesomesauce. Here's the silly bottle shot. This is NCLA III, Colors by Llarowe Lucy I'm Home and Chaos and Crocodiles Tropical Candy Flowers. I started with all NCLA. Look closely, this has a gorgeous shimmer in it. 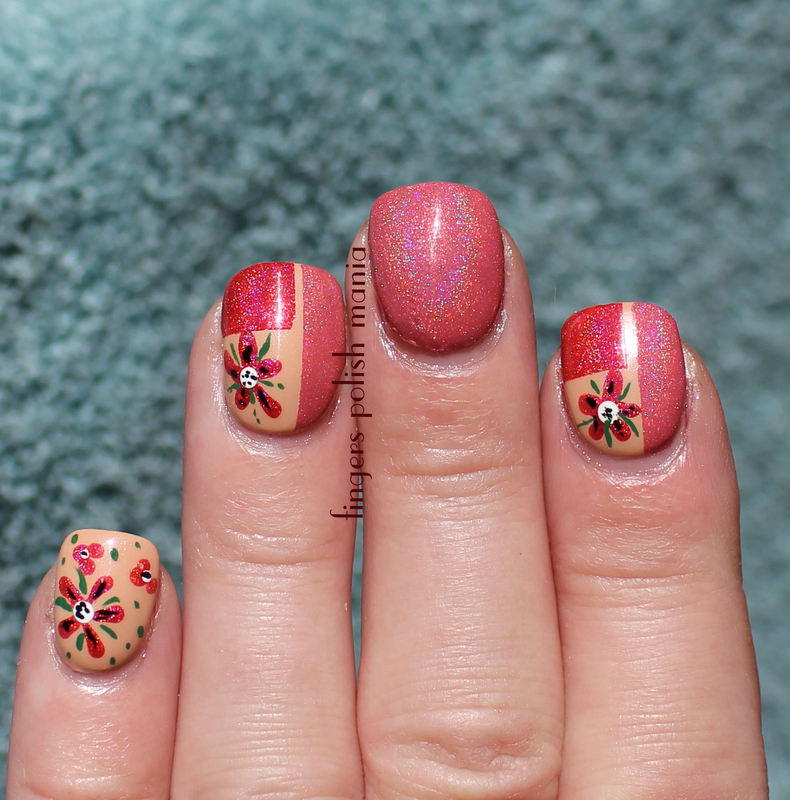 Again, the plan was to do the two middle nails with an intricate triangle pattern gradient. Told you what happened to that. 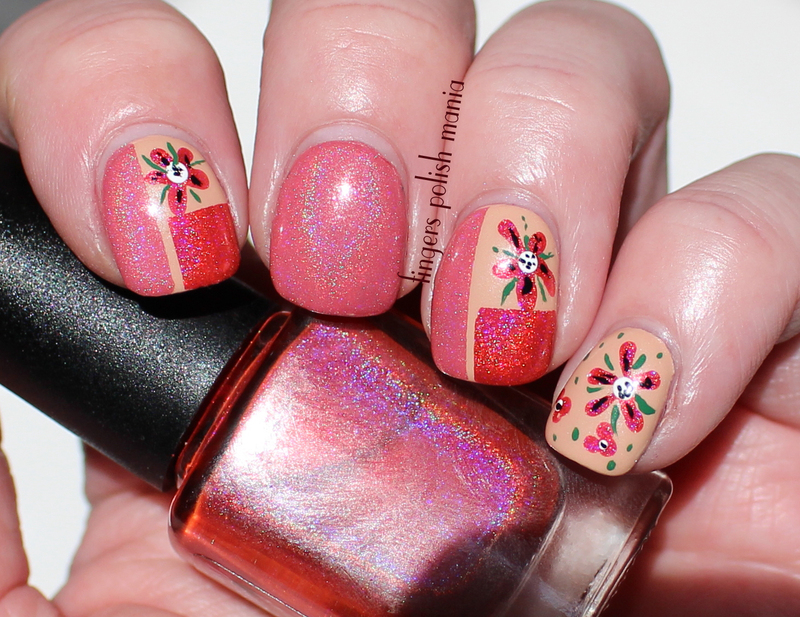 Instead I did a tape mani color block, then added flowers. I covered the ruined middle nail with CC. Here are the amazing results! OMG!!!! I so hope you guys love this as much as I do. Even my flowers came out pretty cool. The colors are perfect together and the hint of green is just so right on. Yeah can you tell I'm in love with this?